Editing techniques have become so advanced these days that there is virtually no limit to what you can do with a home movie you have created to add dramatic effect to a particular scene. The interesting thing to note is that we hardly notice these effects when we’re watching a film but they do make the difference between an interesting and a boring home movie and can bring a special dimension to a particular scene. Ultimately, it’s the creativity and skill of both the filming and editing which will be the determining factor in whether a specific effect ‘works’ or not in the context of the scene. That only comes with practice and trial and error. Here are some useful top editing effects you might wish to try out. After filming, you might notice that one scene which is meant to follow on to another doesn’t look or feel quite right. This is where the use of dissolves comes in very handy. In the days of silent movies, you might recall that a transition from one particular scene to another would be separated with a black screen simply featuring a caption which might say something along the lines of “The Following Week” or something similar. Dissolves are used in a similar fashion to express the passage of time but they’re far cleverer when used correctly. To create an effective dissolve, you’d use them on the borders of sequences and the transition would be slow and gradual. If they’re hard and fast, the viewer will notice and it will not have the desired effect which you’re trying to convey. Editing using black and white footage is often used when someone is recounting an event from times past. A witness giving a testimony in court which is their version of events is often filmed in black and white and it is also used to create a feeling of nostalgia. For example, a grandparent telling their grandchild about how they used to play in the same fields may show footage of the grandparent as a child doing just that over the narration. You can also film in sepia and add sounds like the noise a projector might make when it’s whirring. In addition to representing times long gone by, projector effects such as adding dust and the picture shaking to the film can also be incorporated, if appropriate in the context of a particular scene. This can also help to cover up any filming errors which might have been made such as a dirty lens or excessive shaking of the camera. Using both fast and slow motion can create a dramatic effect. Fast motion will also create the sense of a passage of time which, under normal circumstances, would take too long or would be extremely boring to watch in ‘real time’. Good examples of this can be found in nature programmes where, perhaps, you want to capture a flower’s development from buds to petals opening and fast moving traffic scenes also commonly use fast motion as well as where you’re filming a construction project such as an arena, house or other building from its conception to its completion. Slow motion can also be used to create a whole multitude of effects. Some can be dramatic, such as watching a scene where somebody is shot dead. Funny scenes can also be enhanced by the use of slow motion. Somebody falling off a stool, for example is often far more hilarious when you edit in slow motion and where you can better capture their facial response as they start to fall. 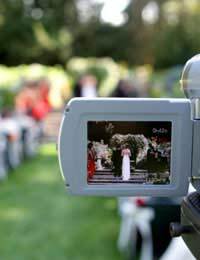 At an amateur level, it is also often used in various poignant moments in wedding videos. This lets you view two entirely different scenes at the same time by splitting the screen in two. It is often used to convey multiple viewpoints, create a sense of space and time and can bring a heightened sense of drama. The director, Alfred Hitchcock would often use this technique to great effect, and over recent times, it has been used a lot in the successful TV series ’24’. These are just some of the most popular top editing techniques. Black bars can be added to give a widescreen effect rendering your home movie more like a professional film you’d see on TV and you can also superimpose images at suitable moments, usually in scenes which are not too cluttered, with too many things happening at once. The list is endless and the scope of effects you will have at your disposal will ultimately only be limited by the capabilities of your chosen editing equipment and software as well as your own creativity. What is In Camera Editing?